Once Brownells have their line of “Retro Rifles” in full production we will be working with them to make them available to Canadian customers. When the time is right we will be making a full presentation to the RCMP SFSS in order to obtain the FRT which is required before importation is approved. As a long time owner of an original AR10 rifle I am very well aware of the potential of the Brownell AR10 rifle. PS. This is one of the real boys... not a Brownells Repro, they look real close don't they? Last edited by Mr Wolverine; 01-31-2018 at 03:58 PM. Gun for sale: 1944 SA M1 Garand. PM for me for info, Thanks! Awesome news!!! Keep us updated please! 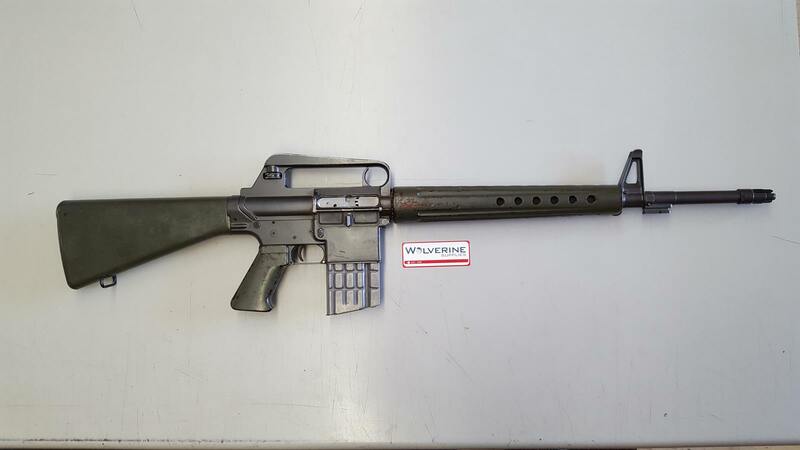 Sweet, OG AR10 would be cool, brown furniture and all. Excellent! Any ETA on getting a sample to send to the lab? and are you able to provide Canadian price estimate? I would only be speculating if I tried to answer your questions at this time! You will just have to have a little patience. I can tell you that the minimum price will be US retail (MAP) plus the exchange rate.